Thanks Tim. Cool video. But....1966? Who was the cameraman who took this home movie. ? At the 4:18 point of the video above, we get a very good side view of the Stemmons Sign and the LEGS of the sign which support it. From this side view the Stemmons Sign Leg closest to Elm St appears to have attachments/signs which are Bracketed to it and extend better than 1/2 way down that sign leg. Other Stemmons Sign images taken both on 11/22/63 and shortly thereafter appear to show these "North" and "Texas US 77" attachments to NOT extend even 1/2 way down that leg. The wilted flowers in the background of the posted video give us a general time stamp as to when we are seeing the Stemmons Sign and that supporting leg with the "North" and "Texas US 77" attachment(s). Can anyone explain what appears to be a disparity in this video with respect to the length of this attached signage? I am also curious as to how the East-West brackets we see on the video Wrap Around the sign leg? Other front images of the sign leg show Only 4 bolts/rivets (?) running directly through the attached signage and then into the sign leg. These bolts/rivets ALL run N-S and ALL of them are directly in line/above each other. 2 bolts/rivets running through the "North" signage and 2 bolts/rivets running through the larger "Texas US 77" attachment below it. How do Only (4) bolts/rivets which run N-S/Top-Bottom hold/support (4) Brackets which are running E-W/Left-Right and wrap Around the leg as seen on the Video Above? With Dealey Plaza groundskeeper Emmett Hudson having given WC Testimony regarding the "Moving" of those same signs After the assassination = these signs being subject to question. Thank you Tim for this find. At first, it seemed of only general interest for me, but as I played it over a few times I noticed something very unfamiliar at the north pergola - starting at about 3:50 in the film. Mr. Van Schaack placed himself just south and west of the Stemmons sign, probably on the sidewalk. His camera was set with a narrow field of view, giving probably a 3-4x zoom as he swept the camera from the west shelter past the east shelter. 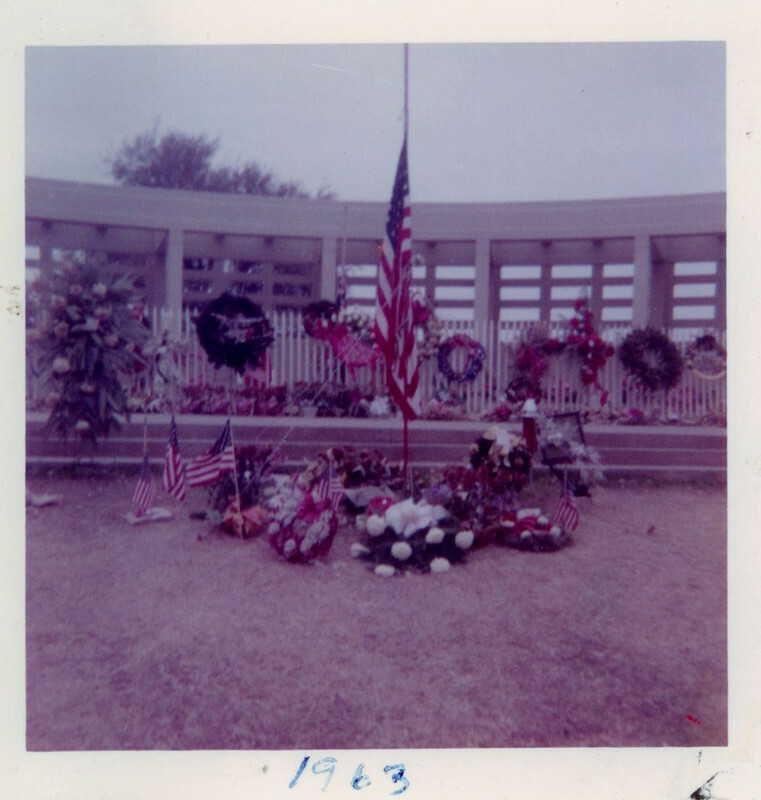 He captured the floral memorials left on the knoll since the day after the assassination. But the florals were no longer (except for a few) still on the knoll's slope. What really caught my eye was an apparent picket fence stretching from shelter to shelter. I have never seen any photo, film or written mention of that fencing. 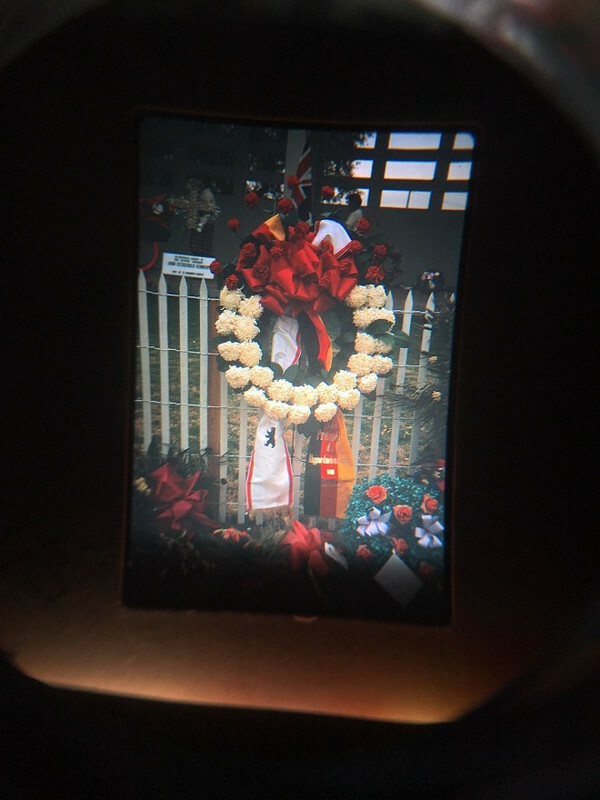 It was used to support several wreaths and memorials for display. I believe this film is unique in documenting the picket fence. Here is a frame showing the fence, florals and north leg of the Stemmons sign. When was the picket fence added? The title and internal comments indicate that the owner believes the film was captured three days after the assassination on Monday, November 25, 1966. Obviously, the 1966 should read 1963. But can that date of three days after the assassination be supported? 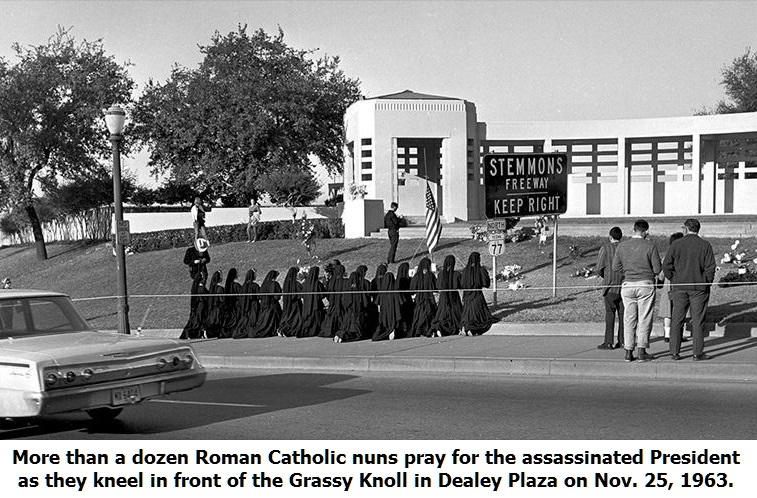 On December 5, 1963 the Secret Service did their reconstruction in Dealey Plaza. The films taken for the reconstruction were sold on DVD by the National Archives as JFK EXHIBIT: RECONSTRUCTION FILM. The first scene is a 360 degree pan of the plaza taken from the southwest portion of the triangular infield. Several frames captured the north pergola. The memorial florals are still in place on the knoll's slope, with no indication of the picket fence. 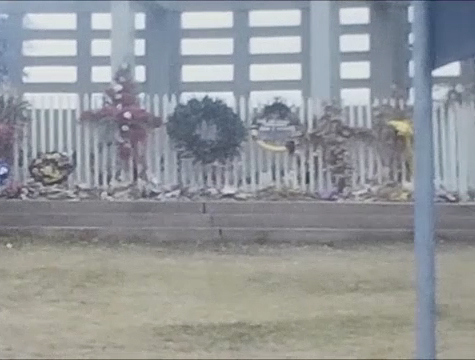 So the Van Schaack film, at least the frames showing the pergola, must have been taken after December 5. If the owner remembered the date as being a Monday then December 9 would be the earliest. Regardless of the date, the film adds a gem to the visual record of the assassination. regarding the picket fence .. So the film is not unique for showing the fence.